With so many places loving on their maple syrup, (I'm looking at you, NH, Maine and Vermont!) 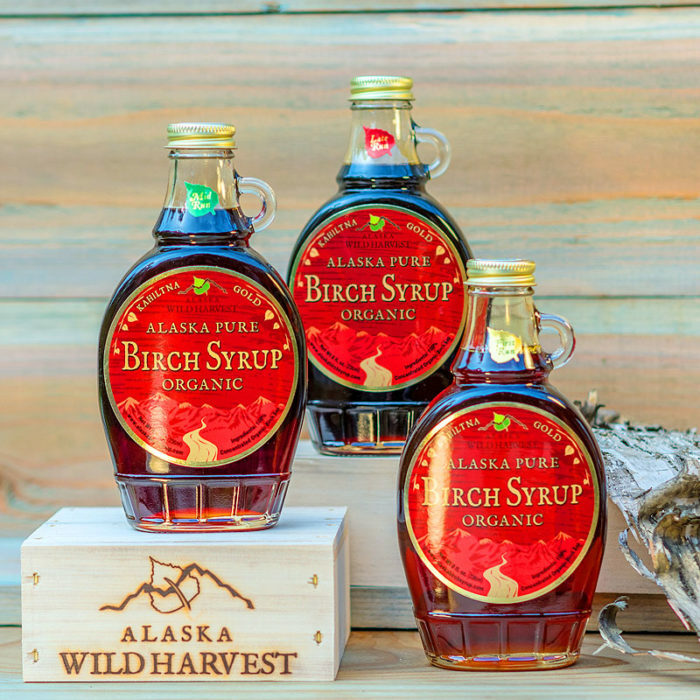 a lot of people are surprised to find out that there is an amazing alternative called Birch syrup. 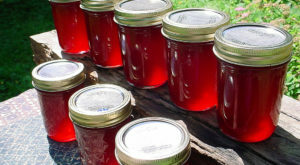 Birch syrup is harder to make than maple, requiring 100-150 liters of sap to make one liter of syrup. That is more than twice the amount that it takes to create maple syrup! Different varieties of birch trees will give you different flavors like caramel, or wildflower honey. Alaska salmon, how do I love thee? Let me count the ways! 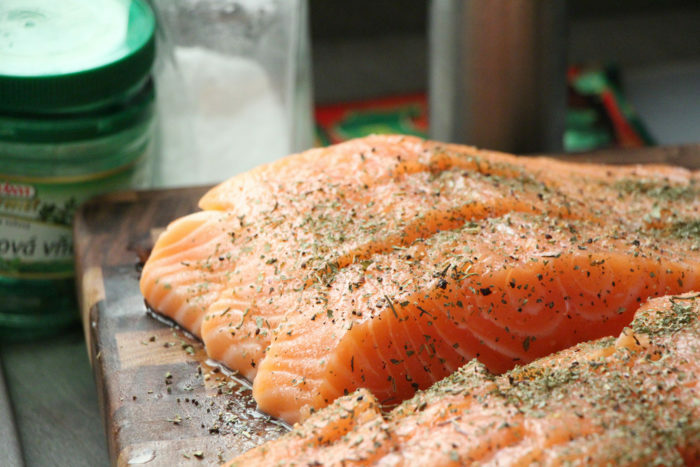 There are five delicious varieties of Alaska salmon, including: King Salmon, Sockeye, Coho, Pink, and Keta (or Chum.) Alaskans are notorious for their summer fishing habits to stock up on these beauties to enjoy all year long. Everyone has their favorite salmon recipe, and when it comes to the highest rated salmon in the entire world, whose to blame them? 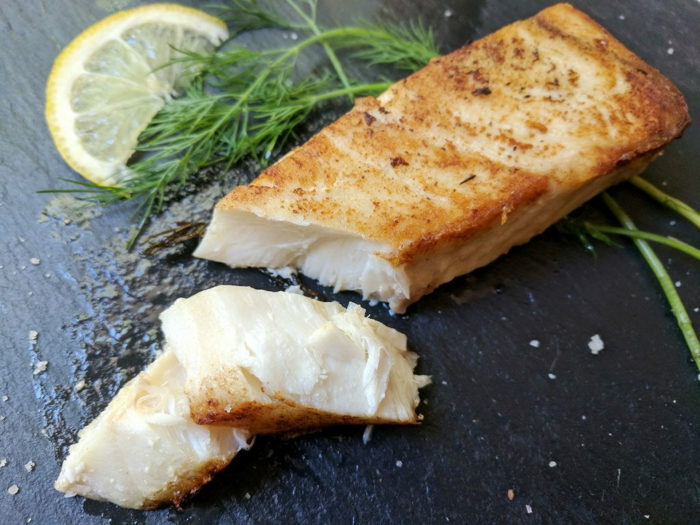 Halibut: white, flaky, meaty. The steak of Alaskan seafood. With sizes ranging up to 8 feet long and almost 500 pounds, these fish are an excellent addition to any Alaskan's dinner plate! There are Atlantic halibut as well, but those are on the Avoid list because their stocks are being depleted. Alaskans, however, have carefully managed the stocks and are highly recommended to eat and enjoy! Another favorite on our list is Alaska King Crab! 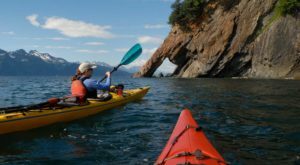 With Alaska having more shoreline than the rest of the lower 48 combined, you know seafood is important to our diet and way of life. 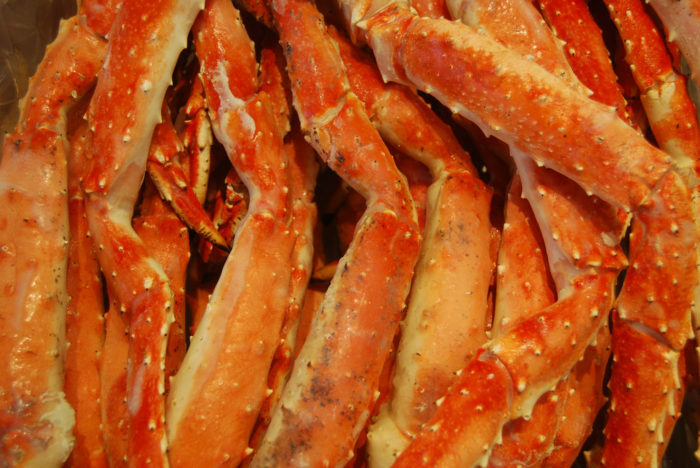 There are three types of King Crab fished for here in Alaska, including: Golden King Crab, Blue King Crab, and Red King Crab. 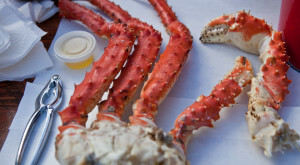 Red King Crab is the most prized, for its massive amount of meat and excellent taste. It's also the most expensive! 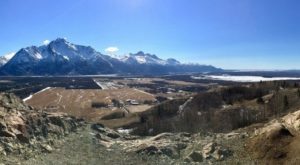 Well worth it here in Alaska though, because when searching for it elsewhere, the prices are far too high! Oh, the berries! With an incredible array of wild berries found throughout the state, it was hard to include just one type, so we are paying homage to them all! With salmonberries, cloudberries, red raspberries, golden raspberries, and watermelon berries, there's a flavor for everyone. There are red currants, high bush cranberries, and low bush cranberries. There are at least six different varietals of wild blueberries alone! No surprise that we host an entire festival to blueberries once a year! It's easy to miss these amazing flavors when heading out of state! 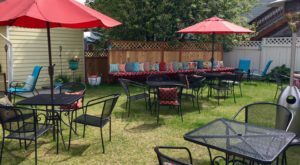 Most Alaskans like a nice beer, and it shows. Many of the breweries in this great state are award winners! Every year new breweries are popping up to give us more flavors to satisfy our ever growing palette. Almost every large town or city has at least one brewery, and we enjoy each and every flavor they come up with. Our newest obsession? 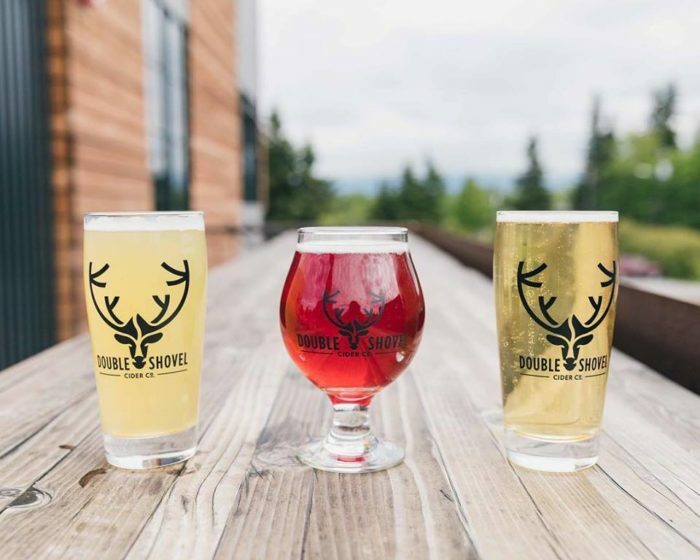 Double Shovel Cider Co. in Anchorage, who are experimenting with great flavors using Alaskan ingredients including apples, berries, and syrups! How could we forget our dear Moose's Tooth? The legend of pizza not just in Alaska, but in the entire United States! 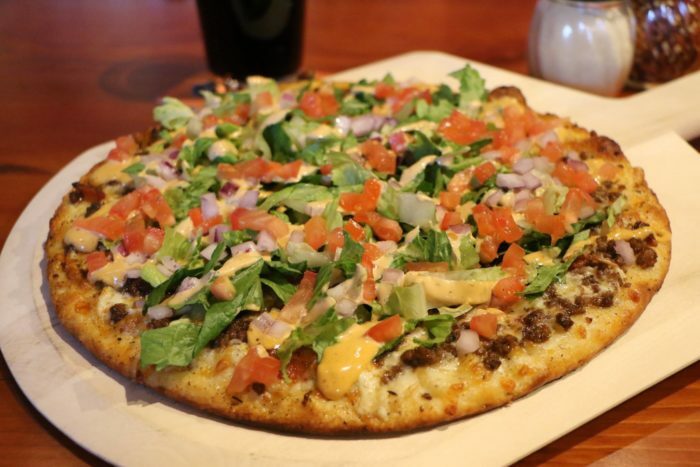 Rated #3 on TripAdvisor's Best Pizza in the Nation, Moose's Tooth is where every local stops by when they're in the area. With a menu you could cry over, it's so hard to pick just one- which is fine, because they offer half and half options. 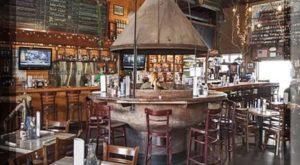 Bring a friend, or five, so you're able try as many specialties as you can! 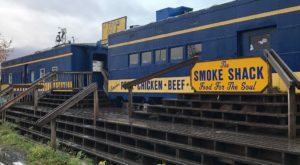 Also a brewer of incredible beer, our first stop when flying back into Alaska usually entails a stop over at this iconic place. Which of these foods do you long for when you leave home? Is there a favorite that didn’t make the list? Let us know by commenting below! Did these make you want some fresh Alaskan seafood? Check out The 9 Best Places To Go Ice Fishing In Alaska This Winter!